#Commons is where photographers like David post many original pictures. 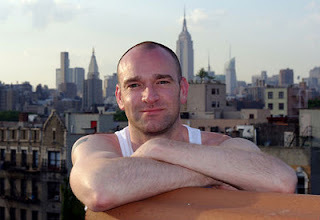 David is based in New York where the "occupy Wallstreet" movement has its origin. Good had a nice thing to say about David. This was mentioned on the mailing lists and many people pointed to other places where some good news is really welcome. It is good news. I do know David and I am happy to be just another place where you can learn how photographers like David make a difference. A new Wikipedia in the Northern Sotho language has been created. Northern Sotho is spoken in South Africa and, the South African chapter has shown its interest in the creation of this new project. The project has just been created, the content is still to be transferred from the Incubator. A mail has been send to have the traffic for this new project included in the statistics. Everything is new and we wish this project well. With the current focus on the Northern Sotho language, it will be cool when people volunteer to be its language support team. Many open source projects including MediaWiki will be able to support this language properly when we know for sure that the CLDR information for Northern Sotho is correct and complete. Given the interest of the South-African chapter, it will be so cool when they are motivated to ensure that the languages of South Africa are all well documented in the standards. #Halloween will be celebrated soon; even in my part of the world there are pumpkins, grizzly costumes and other Halloween paraphernalia to be had. Google celebrates the occasion with four webfonts. They are nice, fun and they demonstrate nicely how you can change the look and feel of a website by selecting another font. Being spoiled for choice to celebrate Halloween on the Internet is good fun. I can imagine that Wikipedia main pages will join in such fun once the WebFonts extension is live on all the WMF projects. The technology behind the Internet #matures; and consequently HTML 5 is becoming ever more established. HTML 5 is an open standard and the W3C is the organisation where HTML 5 is defined..
Amir went to a conference, HTML5FEST in Ramat-Gan, he met people from Google, Mozilla, the W3C. Going to a conference is where you can learn about how language support can be achieved in the future. For Amir it is clear that improvements to the HTML 5 specifications can do with some tweaking. Going to a conference, learning how things are done and how to get suggestions in can be more effective then writing code for a month, maybe more. Ah well, I will have to go another day.. the sun was shining, the train was on time, I visited an organisation known to be interested and involved in Wikipedia., I have a question to ask my teacher... It is not all bad, no day is. At #translatewiki.net we have portal pages for the languages our community indicates they know. For some languages all we have is Babel information, others are used to provide a starting off place for every localisation and translation we do at translatewiki. When people are new to us, we welcome them and particularly when their language is not yet supported by the Babel extension, we ask people to localise it as a matter of urgency. At the same time attention is given to that particular portal. 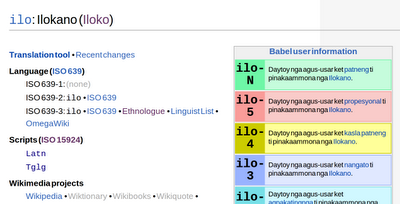 The Ilokano language is one of the bigger languages on the Philippines and when you check its Wikipedia, you will find a reference to the Babayin script. This script known as Tagalog or Tglg by the ISO-15924, was used in the past not only by Ilokana but also by Tagalog. .. obviously. The problem with this script is that it is not yet fully ratified by Unicode and consequently it is not possible to use it at all in MediaWiki. MediaWiki insists on their being a Unicode compliant font. As the technical aspects of the Unicode specification have not been ratified, creating a font is a speculative affair. Theoretically at least. Some of the gurus at Unicode can develop a font based on the existing specification and amend and append the font when need be when the script definition has some unforeseen changes. Many of the hundreds of languages supported at translatewiki.net can do with a lot more tender loving care. When a script was used for a language, it makes sense to have the orginal transliterations in that script. This proves the authenticity of the transcription effort. A follow up transcription to the modern script makes it readable. However, transcription gets you the original orthography and that is a good thing too. When you expect a user to understand a language, you can be wrong. Everyone has no experience for most of the languages we have Wikipedias in. At #translatewiki.net we live at the #MediaWiki edge.. Living at the edge brings you surprises. It brings us for instance a language drop down thingie with weird options. Dutch, British English, English and American English. Typically my user interface is set to English so I changed it to Dutch to see if it would pick up the fact that there is Belgian Dutch, formal Dutch and Dutch. It did not; it only translated these "language options" into Dutch and it did not sort them properly. I then checked the options for English only to find that it did not pick up on Canadian English as being a valid option. American English is not even an option. This fun event will be mentioned at the "stand up" meeting of the Localisation team. It will be interesting how the "product owner" will evaluate this new functionality and if and how our team will deal with it. Whatever the result, I do not expect that too many words will be used. It is great when a plan comes together; improved mobile access was made part or our strategy. Traffic from mobile devices has grown briskly for quite some time and the statistics for Wikipedia show this clearly. Total traffic based on our current methods of collecting data show an overall growth of eight percent. When you compare the traffic for the English Wikipedia, without mobile traffic it would have decreased by five percent on a year on year basis. With mobile traffic its reduction is only one percent. When you compare these two screens, it shows that the overall growth in traffic is an additional three percent because of mobile traffic. 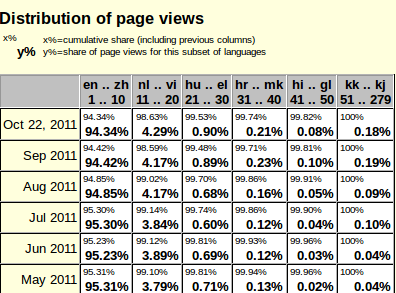 Mobile traffic in the bigger languages is doing really well with a 109% growth on a year on year basis. English is the biggest language and its growth of 80% suggests that other languages have at least the same potential and therefore deserve proper attention. One challenge with mobile devices will be in making sure that the "other" languages will benefit from this mobile growth. To accomplish this, we may have to tweak functionality we aim to deliver like WebFonts. Input methods are different anyway so there is plenty of work left that will ensure that you can do MediaWiki in any language on any device with equal ease. Working for the #Wikimedia Foundation, I am expected to use Commons for the pictures I use when I blog. To be honest, when I have a new picture I do not mind to upload it and use it. When I am looking for a picture of a "horse" for instance, Google provides me with a useable interface. It gives me pictures, I can select one and get more info, I can click on it to get even more info and do what is needed to get a picture in a usable format. PS recognise the first picture ? Now compare this with the interface I get at Commons..
What I am doing is looking for a picture of a horse. All the intellectual activity that produced this text is wasting my time. I want pictures. Pictures of a horse. When I scroll down, I get some pictures.. I am still plagued with too much text, too much white space and pictures that are too small. To make it worse, many of the pictures with horses on them will not be presented because they are hiding in categories. I am looking for a picture of a horse. I need to be presented with all the pictures I can choose from. I do not want white space, text, categories or anything. 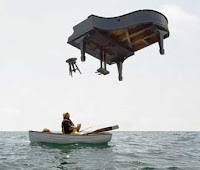 My need is to efficiently find the picture that fits my current need. At this moment Commons is a database with 11,420,809 freely usable media files to which anyone can contribute. Yes, it is wonderful that anyone can contribute but please, we are now at a state where there is so much that it is certainly as relevant to have 11,420,809 freely usable media files which everyone can use. The Dutch chapter is meeting. First line of business, providing some clarity about the existing fundraising situation. The current situation materialised because the American authorities require the Foundation to ensure a consistent world-wide practice. 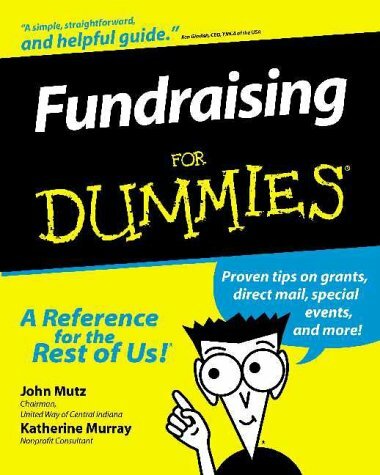 As a consequence there are now chapters that have a fundraising agreement and chapters with a grant agreement. Several pains were mentioned; the Foundation was not present in Vienna at a conference on fundraising and, WMF officers are found not to have room to negotiate. Currently the Dutch chapter has a grant agreement. The question raised is, what does this mean for the chapter and its activities. Fundraising takes a lot of effort and it takes away from the activities these funds are needed for. On the other hand a chapter involved in fund raising will grow its ability to run projects. The biggest issue raised however is who decides what is strategic in a specific area. The Dutch chapter has been very active in GLAM and Wikimedia loves Monuments. This is not that much in line with the published WMF strategy but the effect has been stellar. The autonomy of a chapter to have local strategies and projects is why we are a Wikimedia movement and not a single organisation. The question is, how will we ensure that we remain effective and a grass roots movement. Slowly but surely, the "other languages" are getting traction. 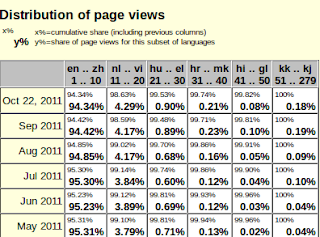 October 2011 is when the top 10 Wikipedias are likely to leave more then 10% of the page views to the other Wikipedias. The popularity of Wikipedia is growing nicely for many languages; the Chinese Wikipedia for instance grew 289% on a yearly basis. For many languages the growth rate is in the double digits and together they more then offset the lack of growth for the English Wikipedia. When the Localisation team will introduce its functionality in production, it is likely to boost the usability for many languages. When the general public starts to perceive this in a positive way, we will get more readers and editors. All these people will be making a difference for their language and culture; they make freely licensed encyclopaedic information in their language on the Internet their own. If Apple has been good at one thing, it taking a mediocre product and make it useful even pretty. Each iteration of a product they successfully absorbed has a relatively short life cycle because of Apple's relentless innovation. The premium for an Apple product is extremely high and makes them too expensive for most. Apple deserves to do well in all its niches. As long as it can maintain its premium value they have nothing to fear from its devoted public. The Apple formula is "we do better" and, it is its eternal challenge. The smart phone market, the PC market have one competitor for Apple, it is the industry. Apple produces clones where the industry produces variety. There are many types of PC or smart phone. What is as relevant, they are sold in a wide price range. With Apple fighting legal battles to prevent yet another Android phones to be sold, Apple is effectively behaving like a monopolist. A monopolist that insists on the exclusive sale of its products. A monopolist who does not care about the whole market. When you compare Microsoft with Apple, they are both monopolists. Microsoft however allowed others to earn their crust. The Microsoft tax on computers prevents the sale of computers at the bottom end of the price range. The Apple premium strangles innovation outside Apple, its patents prevent an industry from developing and finally it keeps affordable smart phones from finding a willing public. Both GLIBC and CLDR register similar things. They register for similar but different purposes. One is a standard and the other is a de facto standard. When people with the right background take an interest in a language like Sourashtra, they can have many objectives. What we are looking for are people who are interested in enabling, supporting and promoting the use of their language. When a font is needed and they can point us to a freely licensed font, we can support them. When a keyboard is needed specifically for a language or a script, we can support them. When they provide us with the code to transliterate from one script to another, we can support them. To do this for one application is a lot of work and there are so many applications out there, so much replication is happening. Many of these applications are as useful and relevant as MediaWiki. It is for this reason that all the language support teams are asked to verify and possibly amend and append standards like the CLDR or GLIBC. With information available in the right places and with fonts, keyboard mappings and transliteration scripts shared widely, in a perfect world there will no need to ask to verify, amend and append. By working together using the same data, there will come a time when there is no longer anything to amend or append, when the data for a language new to Wikipedia will just be there. Closure is what seems like the future for the Tropenmuseum. A letter informs that the Dutch government intends to stop its subsidy by 2013. The Tropenmuseum has been one of the first big institutions that cooperated with Wikimedians and this has been documented on this blog. It is not the first time the Dutch government has the Tropenmuseum in its crosshairs. The problem with the Tropenmuseum is that it is the repository of artefacts where the Dutch are only its custodians. Irreplaceable artefacts where the continued existence and a continued public presence ensures that we can source our history and learn how history is not as we know it. 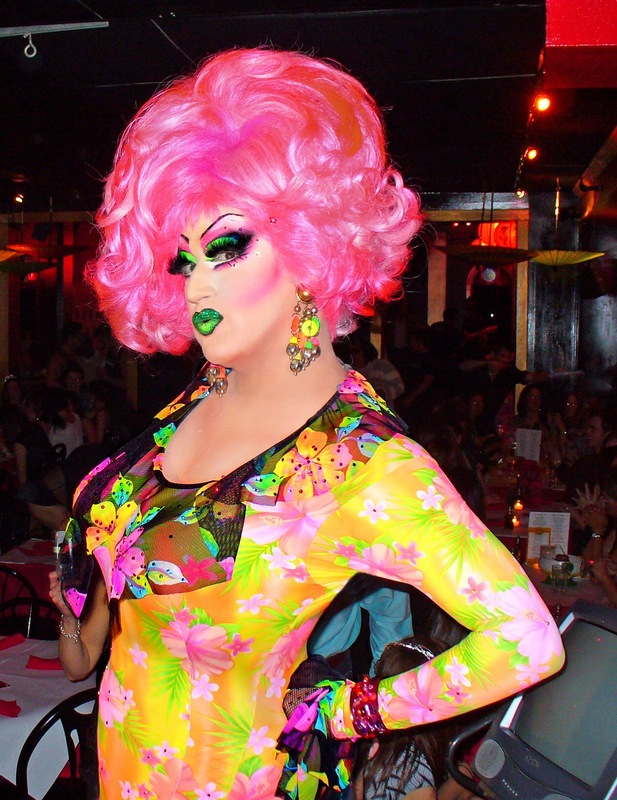 GLAM are essential to ensure that the sum of all knowledge we aim to share is encyclopaedic and truthful. The Tropenmuseum has been so important to us. This news is awful and it begs the question how the Dutch government intends to meet its continued obligation as the custodian of the world class heritage that is the Tropenmuseum collection. #Wikipedia has become an obvious source for information. 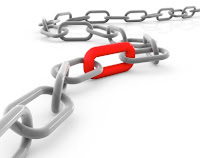 #Google rates our articles high and articles about a subject do serve their need. Almere is my home town and there are some 49 articles about it. 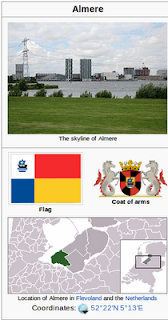 Providing information about Almere is important to all the family, friends and relatives of people who were born outside of the Netherlands and live in Almere. The information provided reassures people. The picture to the right does a lot, it shows water, green grass, a flag a coat of arms a map and even coordinates. The Somali Wikipedia is not rich in articles. Writing an article about Almere however appeals to the Somali people who live there. The initial article they write is different as it is written from a different perspective; their Almere. Given that so many either live in an asylum seekers centre, or started off from the AZC, it is an important feature in the article. The article is not encyclopaedic in our traditional sense yet however, including the parts of a place that make that place relevant for a community is very much why we write many of our articles in stead of translating them. Informing people about the place where they live is great. Equally interesting is having articles in the Dutch language about the place people come from. It is a tiny step of getting to know our "Medelanders". (wordplay on together and Dutch). I use skype. It was recently bought by #Microsoft for $8.5 billion. As such it has a valuation based on the size of its user base and to increase the user base even more, Facebook made Skype the engine for chatting and talking to other people using Facebook. In the meantime there are patents by both Microsoft and Facebook describing technology that allows for tracking, spying and consequently it is not only governments that spy, track, stalk. 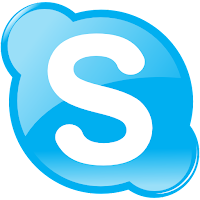 Using Skype as a technology that is so obviously used as a platform of spyware, trackware and stalkware. One of the great things of patents is that they are intended to exclude. With patents claimed by a Microsoft or Facebook other companies do have an incentive not to use such technology. As governments are likely to be the beneficiary of such spyware trackware and stalkware functionality as well, it will be interesting to learn if other companies have to pay for the use of such technology or if governements will strong arm the patent holders to make this technology for free. Anyway, Skype is underwhelming because why trust it when it is patently clear that it will not provide you with the privacy that the law at least suggests you should be able to expect from the plain old telephone system. The #Wikimedia bugmeister works in an environment where increasingly more development teams adopt agile for their project management. As the function of a bugmeister is not defined in agile, the question was raised during the training for the localisation team what a bugmeister is in an agile environment. 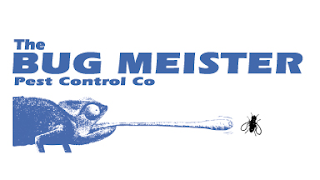 We love our bugmeister and, we want to fit him in. The short answer is that a bugmeister represents aspects of both business analysis and quality control. The long answer has it that software is accepted based on the compliance of a "user story" in the software. For a reported bug to be a bug in the understanding of agile, it does not comply and it results in a user story explaining the breakage. The existence of a bug may also indicate that a "user story" exists where the existing functionality does break. The analysis of such a situation is what a business analyst does. The resulting user stories are presented to the "product owner" for inclusion in a next sprint. When the previous paragraph sounds like gobbledygook, it is very much because of the specific terminology used by agile. Having specific terminology is a good thing because it forces an agile newbie to consider and reconsider his understanding of what is expected of him or her. The #statistics for the Indic languages show a healthy growth. A growth of less then 30% per annum makes a language an under performer. The statistics below indicate a decrease in traffic for the English Wikipedia of 5% per annum. As all these numbers are for world wide traffic, it is not valid to compare English with the Indic languages. It would be nice to know how English is doing in India alone. This might tell us if English is experiencing a similar growth in India. When it does, it is a vindication for the strategy of focusing on India and by inference on the global south. In the last year, the quality of the localisation has improved for several languages and my theory is that this combined with an ever growing number of articles is why the growth is so healthy. At translatewiki.net we are experimenting with WebFonts and Narayam for several languages. The initial feedback and response on the current functionality is great. The quality of the support we provide is largely due to the communities that are providing us with the necessary feedback. When you are looking for similar functionality for your language, let us know. On many a #Wikipedia, people come along to do some admin work or leave a message. I have the good fortune to invite people to become part of a "language support team" for their language because the "Localisation team" I am part of do not know enough of all the languages we aim to support. My user page looks practically the same on all the projects where I have a user for my WMF persona. The example above indicates that I do not know Catalan. The message I leave is also the same for all languages, the one I left on the Catalan Wikipedia can be found here. Obviously it is not in Catalan. We hope to channel the communications between a language community and us through the people who can help us and who are willing to help us. It is simple, proper support for a language requires expertise and together we can provide proper support for all our languages. 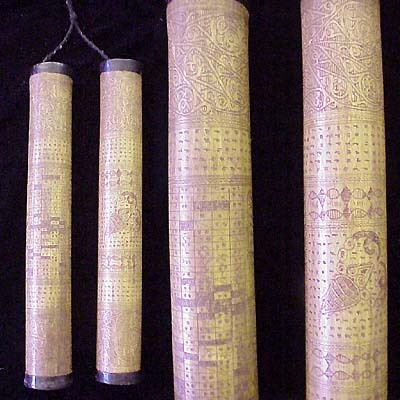 The Bengali script is not only used for the Bengali language. The Bishnupria Manipuri language is as far as we know written exclusively in this script. The best way to explain what the Localisation team can do for a language community is to implement known solutions. Adding the support for the Lohit Bengali font for Bishnupria Manipuri is easy and obvious. 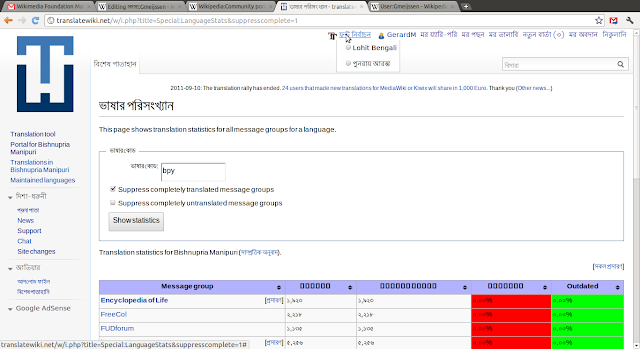 We do not know if there is a need for an input method that is specific for Bishnupria Manipuri. For that we need to be advised by people who know the language. When they work together in a language support team, we can build the framework that they can implement solutions for their language on. Artefacts of many "indigenous" cultures only exist in museums. The cultured people who created them have died or dwindled into non-existence and their descendants often do not know their history, their culture. When the language still exists... it may be that the script is no longer in use because it is replaced by another. Even when the text is transcribed and then transliterated, the terminology and the associated understanding may be lost. We have a request for a Wikipedia in Toba Batak. This is only one of the languages that is written or used to be written in the Batak script. The characters of the script have been defined in Unicode and the only font available is freeware and does not feature what you expect of a modern font according to the author. The author of the existing font, a professor in Hawaii, is happy to work with us to establish a fully functional freely licensed font, a keyboard map and possibly a transcription engine from and to the Latin script. Many of the objects in the Dutch and other western museums are valued far higher then the cost of the creation of a font for the Batak script. Once a script is available it becomes possible to transcribe all the texts that exists in museums and archives and this in turn will allow us to glimpse of the Batak cultures as they survive in its literature. Commons is relevant when it is used. Why should anyone care about 11,352,202 freely usable media files to which anyone can contribute when they are hardly used? What is the point of all all these media files when its use is restricted to the ivory towers of the Wikimedia Foundation? In many ways, Commons is restricted by design.Commons hardly works for me because these freely usable media files have to be "educational". As a blogger I do not care, pictures need to be "illustrative". The pictures I use need to be amusing, they need to make a point, preferably in an amusing way. There are pictures that qualify, but they are hard to find and I doubt that a picture like the one to the right will survive the onslaught of the keepers at the gate. There are many reasons why our pictures are so hard to find.. The use of plural for categories is technically correct but I am looking for a horse, not for horses. Looking for a word in the text is relevant for Wikipedia but hardly for Commons. Tagging pictures makes sense but we are not into tagging. There is no app for Commons. The bottom line is, Commons is a service product for use within the Wikimedia Foundation and consequently the multi million freely usable media files are waiting for their prince like sleeping beauty in her tower. Magnus Manske brought to our attention that Commons is hardly known as a rich resource of freely usable media files. The Commons discussion should be about how to make sure that the images at Commons are widely known and used and not so much about what pictures people may not like to see. The #translatewiki.net translation rally ends with the transfer of money. Transferring money is frustrating as often people end up with a pittance because of the costs to transfer money in a worst case (i.e. most expensive) scenario. The translation rallies should boost the localisation for languages that will benefit the most. Many of these languages are spoken in countries where there is sadly no support by Paypall or where the cost of transferring money is prohibitively expensive. Paypall does not allow the transfer of money to many countries including Brazil or India. As I have a colleague in India, India is not a real problem anyway. And please, you FIRST have to enable an e-mail account for paypall before can be transfered money to you. Transferring money by Bank is not easy either. While an IBAN number is absolutely essential, it is probably one of bankings best kept secrets. Learning my own IBAN number was not straightforward at all; why can it not be part of the static information that is part of my internet banking information? 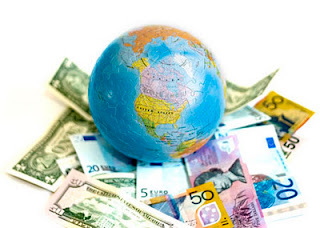 It is as if making international payments should be difficult by design. It is as if global contacts are the preserve of companies and criminals only. 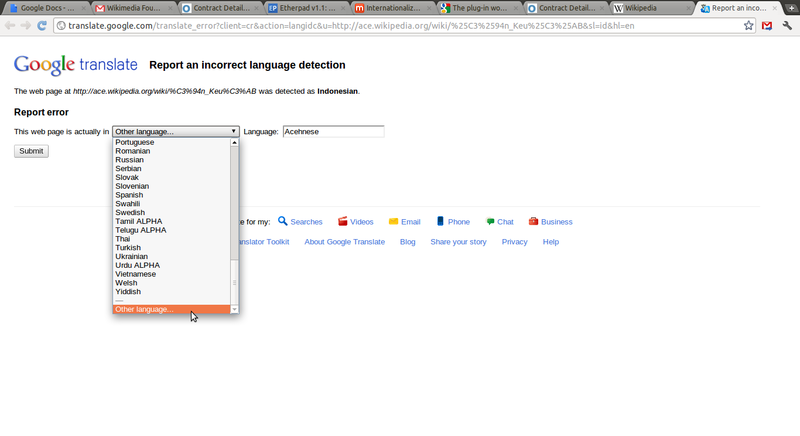 The Acehnese #Wikipedia is recognised by the Google Chrome browser as Indonesian. It even offers to translate it into English. However, in the html, there is a tag identifying the language as "ace" or Acehnese. 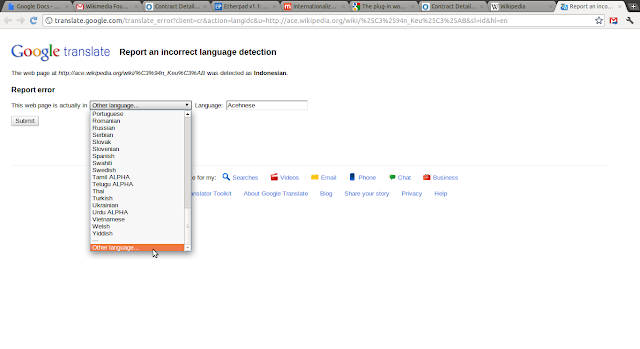 When you check the bar, there are options, one of them is to report an incorrect language detection. There is a drop down list of languages to select from with an option at the bottom to specify a language that is not in the list. For Google to provide a translation service is wonderful. There is however a reason why we specify a language. It is because we want everyone to know what language a text is in. Adding this is best practice for a website but sadly many if not most websites get it wrong. It is intended to allow services like the Google translation service to know what language a text is in. The Localisation team will go a step further for MediaWiki; it will provide services based on the language indicated by this tag. Services like WebFonts, keyboard mappings and appropriate text direction settings. Identifying a language is relevant, many services rely on it and it is what gives visibility to a language on the Internet. Providing adequate tools at Meta has been a holy grail for the developers of the Translate extension. To get to this stage a page translation mode was developed a long time ago. This has been in use successfully at KDE for the translation of its user documentation. 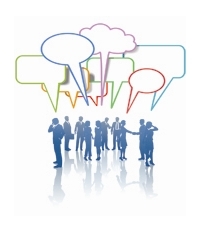 Having tools to manage texts that need translation is extremely valuable when the message can and does alter. This has always been the case for the Wikimedia Fundraiser and it was more or less managed with templates. The Translate extension brings the kind of functionality that cannot be managed with templates. Making use of the Translate extension also unifies the skills needed for the translation and localisation of the fund raiser. One other and essential part of the fundraiser is the software that has always been localised at translatewiki.net. At this time Translate has just been implemented and everybody is granted the privilege to translate. Only some people can enable a page for translation. As a consequence the only page currently available for translation is a test page explaining page translation. It was important to get the software ready as soon as possible because the annual fundraiser is already quite near. Thanks to Niklas, Siebrand, Roan and Sam it has been realised. Testing at Meta materialised a final bug that will be fixed before Translate will be used in earnest. #Google takes privacy serious. One of the ways they help ensure that it is only you who use your account is by recording the locations an account is accessed from. 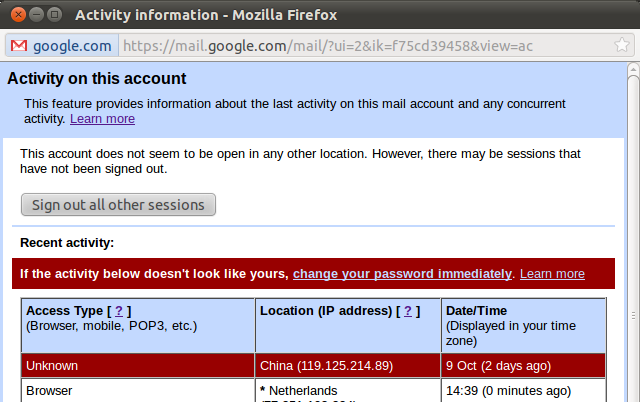 Google just asked me if it was likely that I had used my Gmail from China. I have not been in mainland China ever except for transferring to another plane. This stop over was a few years ago and lasted for 30 minutes. I have now changed my password and I signed out of all other sessions. I have no clue who could be interested in me or my mail account or why. What I do know is that I am annoyed. Enough to write about it. 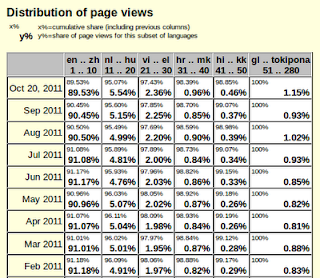 The screenshot below shows splendidly how #MediaWiki has improved its support for languages like Arabic and Hebrew. 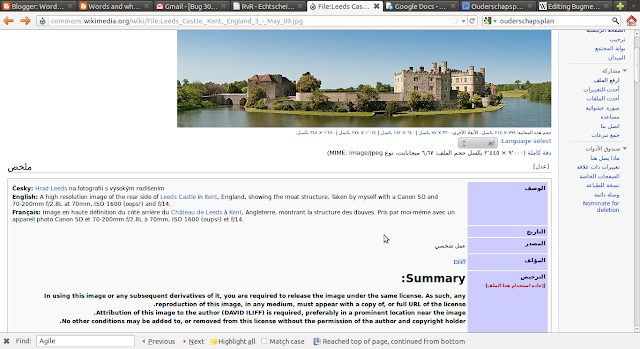 The sidebar is to the right, the labels used for the image are in Arabic and the descriptions are in the direction of the language indicated. As you can see, the "Summary" is a text in English and it is displayed in the wrong direction for English. This is probably the consequence of the software not knowing that this text is in English. This is clearly a bug and it needs to be reported. The obvious way is to report this in Bugzilla. A bug reported in Bugzilla ensures that there is a record of this issue. It is likely that more issues like this bug exist where support for the use of RTL languages breaks. In the Localisation team we are exploring the known RTL bugs. This is the best time to experiment with the combination or RTL languages and LTR languages because at this time we are extremely receptive and are able to resolve them relatively quickly. When the #Wikimedia #mobile team started to ask around about PhoneGap and then started to use it, it became a subject of interest. The news that PhoneGap is now an Apache Software Foundation project is certainly newsworthy. This news follows the recent acquisition of Nitobi, the company behind PhoneGap by Adobe. The initial signals are that Adobe will continue to use PhoneGap. This makes the news of the move to Apache extra welcome. When a tool is used and useful, its organisation and its future is relevant. Apache is certainly one of the big names in Open Source and it is where a community can continue to prosper and go from strength to strength. 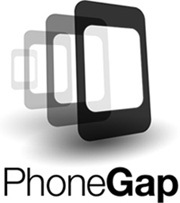 Understanding the use of PhoneGap in the light of the recent MobileFrontend escapes me at this point; has this been a prerequisite for the use of PhoneGap or is it unrelated. As it is an app, I expect it to be unrelated. What I wonder is if its use finds its way in the mobile statistics as this can have a huge impact given the installed base of mobiles with a webconnection. This #translatewiki.net user localises for the Sinhala language. As you can see, his name is something that will be hard to recognise even for native speakers of the Sinhala language. One character is completely lacking and, that character is probably to be used together with the third language. When our friend from Sri Lanka localises one of several projects he is interested in, it will be obvious that we do not and cannot verify any work done in Singhalese. A computer needs to have a functional font for Sinhala or alternatively web fonts need to be provided..
What we hope for is people who know their language well will be joining the Language support teams we are setting up and become an ambassador for their language. We really need knowledgeable support for Sinhala because these pesky boxes are not going away when I have a Sinhala font selected. What gives, why does the font not work. What other issues need to be addressed? Support for right to left scripts is one of those un-holy grails that everybody seems to be looking for. The objective is for readers and editors to easily read and write. When it is wrong, it feels like driving in Great Britain where nobody will drive on the right side of the road. 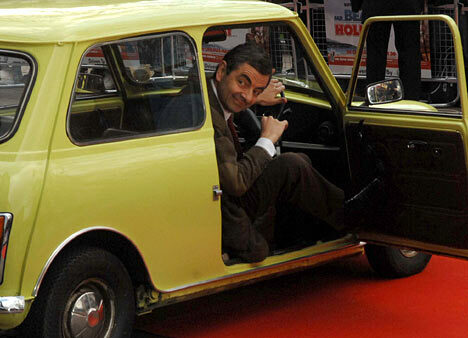 Everything is where you do not expect it and, it looks awkward. With release 1.18 MediaWiki many bugs that have to do with mixing and matching scripts with different directions have been tackled. On Commons and any other wiki, the sidebar will be on the side where it makes sense for the language of your preference. For languages like Urdu, Persian, Arabic and Hebrew, it will be on the right side. The content itself, in the text box will show as it should for the "content" language. The Localisation team has been tasked to crush the rest of the RTL bugs. Guess, what we KNOW about the bugs is in bugzilla, so when there are more bugs for us to crush, this is the time to identify them to us .... and bugzilla is where we are looking for them. With all the #Wikimedia wikis moving over to MediaWiki release 1.18, name spaces support gender. In Dutch there can be a male and a female user. Addressing our users properly is the polite thing to do. For some languages we expect that women will be more then pleasantly surprised. When this translates in them getting more involved, it will be a good thing. Things improve and as always, there is always something more to wish for. Dear Wikimedia Foundation, it is quite a drag that I have to state my gender on all your wikis. There is only one me, and I am not confused what gender appeals to me and what gender defines me. The Malayalam language can be written in many writing styles, most people prefer the traditional style while others opt for the modern style. 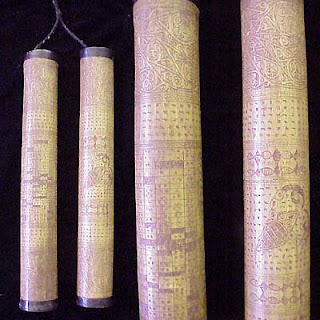 The modern style was developed to enable typewriters and printing and as such it has been hugely important to bring knowledge to the people of Kerala. With modern digital technology the restrictions of the previous technology no longer apply. Wikipedia can be in either style because with WebFonts it needs to be no more then a matter of preference. In Linux you will be provided with the traditional fonts by default while Windows tries to be more modern. WebFonts are a MediaWiki extension that can be applied in many ways and for many reasons. For Wikis we have identified six user scenarios so far. The bet within the Localisation team is that the community will come up with more/less then three additional user scenarios. We expect however that these scenarios can be happily accommodated with the functionality we are currently writing specifications for.